It is estimated that as many as 20% of the population has a mutated MTHFR gene defect. This gene provides instructions for making methylenetetrahydrofolate reductase (MTHFR). When you eat foods that contain folic acid (vitamin B9), MTHFR converts folic acid into methyl-folate, folate’s active form which your body can actually use. This process is super important because methyl-folate plays a role in just about everything your body does. Without MTHFR, your body has a very difficult time producing the needed folate. Inadequate intake of folate is likely to occur in a diet consisting primarily of processed and/or cooked foods, as processing or cooking destroys the vitamin. Besides insufficient dietary intake, poor absorption or poor utilization can result in folate depletion, as can excessive use of alcohol and other factors . 5-MTHF (5-methyltetrahydrofolate): The most biologically active form of folate. Along with vitamin B12 (methylcobalamin), folate serves as a donor of methyl groups. The body utilizes methyl groups in many nervous system and metabolic processes, including the conversion of homocysteine to methionine, the synthesis of monoamine neurotransmitters (serotonin, dopamine, epinephrine), the production of melatonin, and the synthesis of DNA. 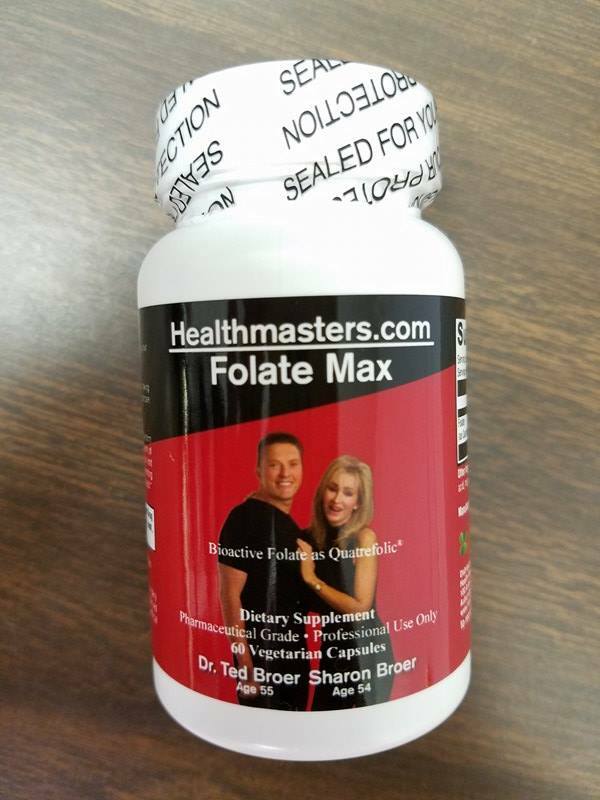 In addition, sufficient folate is necessary for brain and nervous system functions and for a healthy pregnancy outcome. Preferred Over Folic Acid: Folic acid is the synthetic form of folate that is used to fortify foods. It is often found in dietary supplements as well. Despite some research showing that folic acid and 5-MTHF have equivalent bioavailability, 5-MTHF is often the preferred form to replenish folate. This is due, primarily, to the presence of digestive or metabolic variabilities that can affect the conversion of folic acid to 5-MTHF [1-3]. Furthermore, studies have shown that 5-MTHF increased plasma folate more effectively than folic acid irrespective of genetic differences in metabolism [1,4]. A study in women of childbearing age showed that 5-MTHF was more effective than folic acid in improving overall folate status [5,9]. Using 5-MTHF instead of folic acid has several important advantages. 5-MTHF provides the biologically active form of folate, reduces the potential for masking hematological symptoms of vitamin B12 deficiency, reduces interactions with drugs that inhibit dihydrofolate reductase, overcomes folate metabolism challenges associated with functioning of methylenetetrahydrofolate reductase (MTHFR), and prevents the potential negative effects of UMFA in the peripheral circulation . In Folate Max, 5-MTHF is provided as Quatrefolic, the glucosamine salt of 5-MTHF. Quatrefolic is proven to have greater stability, solubility, and bioavailability over the commonly used calcium salt form of 5-MTHF. Good folate status is associated with a healthy mood . 5-MTHF might improve trimonoamine neurotransmitter synthesis and help maintain a sense of calmness and a healthy outlook . In non-smoking adults, higher folate levels are indicative of gum tissue strength, and a range of vitamins including folate appear to act in support of oral health mechanisms [9,10]. Stahl, SM. Depression and bipolar disorder. 3rd ed. New York: Cambridge University Press; 2008:175-178.